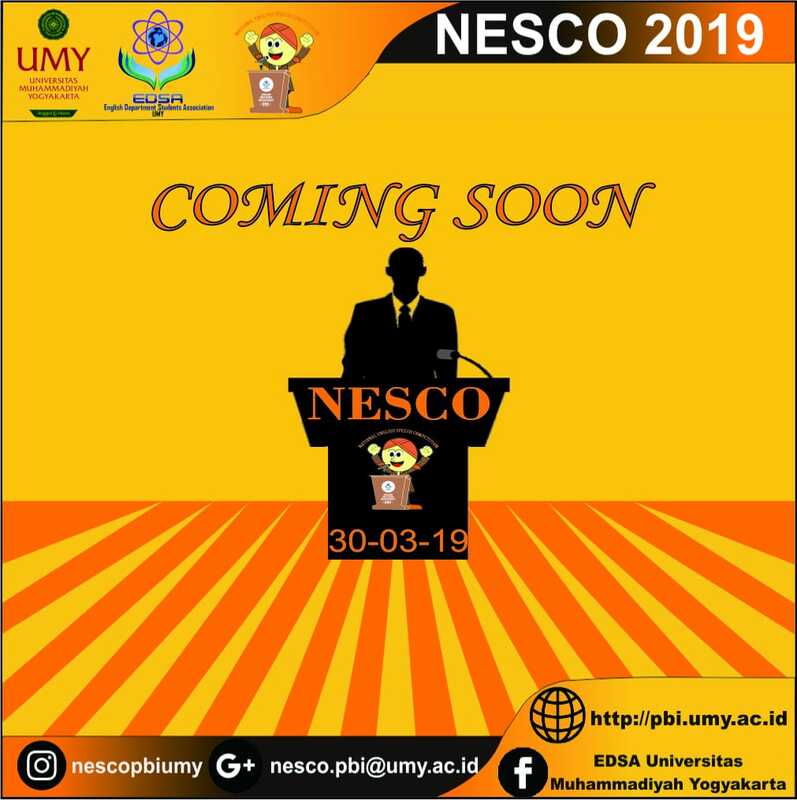 For the 6th times, English Department Student Association (EDSA) will hold National English Speech Competition (NESCO) for all SMA/K/MA students in Indonesia. National English Speech Competition is a competition for high school students who are interested in speech especially in English. Its purpose is to develop students’ critical thinking, to train students’ courage, and to increase students’ knowledge. The registration is from 11th February to 15th March 2019.